Drink up pussies! The bride to be is about to get married and it's time to party! Get the bride a funny gift that she can use at her bachelorette party. 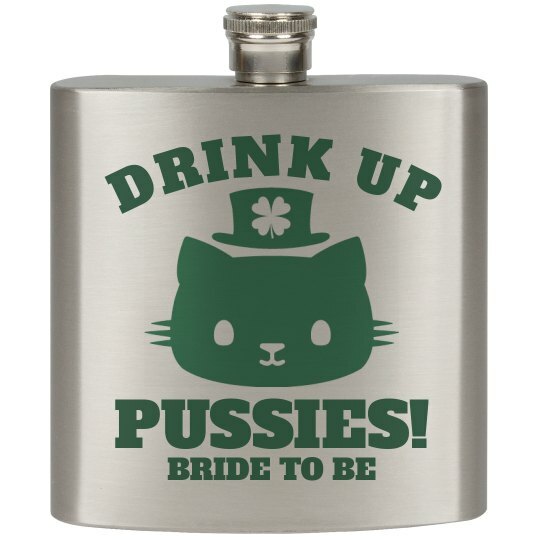 If she loves cute kitty cats, then this St. Patty's Day flask is just what she needs.